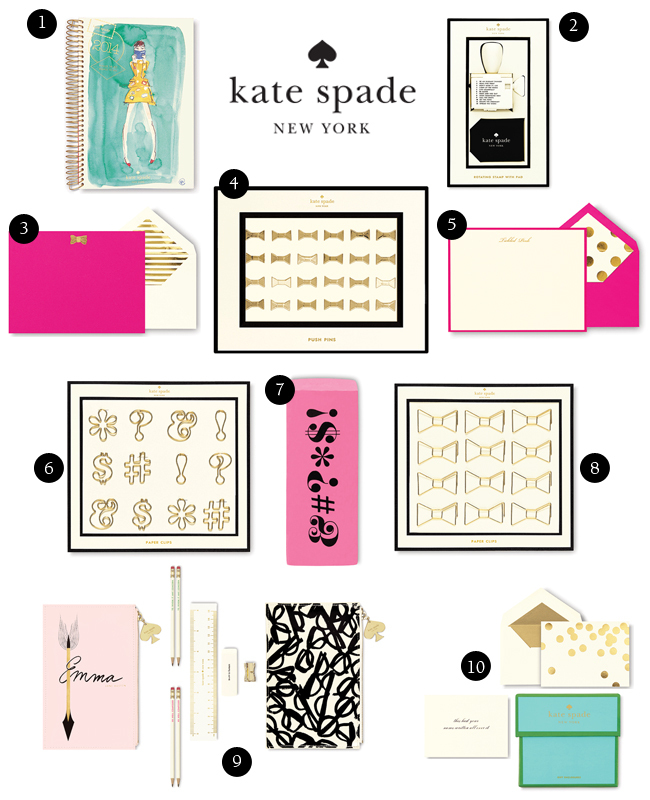 Kate Spade’s new line of stationery and office supplies has arrived at the shop! I am trying really hard not to take one of everything home with me! But don’t worry, I will practice restraint and leave the fabulousness for you shoppers, but I can’t make any promises about those bow push pins.